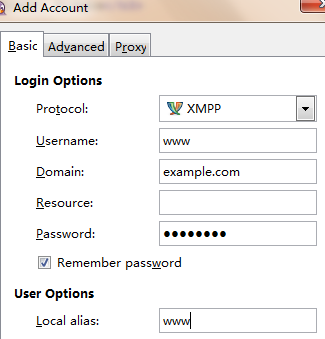 You can choose your favourite XMPP client, now I use Pidgin for testing. 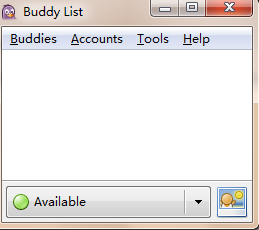 Download the newest version of Pidgin and install it. The setting are simple. 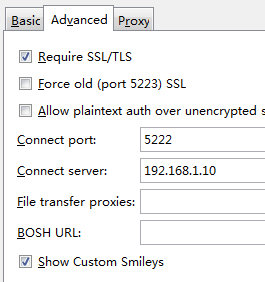 The "target" of the SRV record should point to the publicly routable hostname for that machine (e.g. "mail.example.com"). The priority and weight should both be set to 0. Monitor /var/log/ejabberd/ejabberd.log and /var/log/openldap.log for troubleshooting.